King Digital Entertainment is the company that developed Candy Crush, which is a globally popular mobile game (Wilhelm). The company has registered rapid growth in the past few years, particularly during the years between 2011 and 2014; the company’s revenue generation grew from USD 63.9 million in 2011 to USD 1.88 billion in 2013. During the same period, the company’s active user count increased from 30 million to 408 million, as of the last quarter of 2013 (Wilhelm). About three-quarters of the revenues of the company accrue from the mobile channel, which demonstrates the centrality of the mobile channel to the company’s business strategy (Chapman). The company employed a very unique strategy in the already saturated games market; it developed and concentrated on a handful of games, which were well received in the market (NBC News). The positive reception and popularity of the games can be attributed to the company’s competitive pricing of its products. The main business level generic strategies used by King Digital Entertainment include cultivating more competitive advantage over competing companies, through maximizing the value offered to its customers (Kozami). The company does this through increasing the benefits enjoyed by their customers and also offering more service areas, which justify their pricing. In this area, the actions of the company include the development of games with a solidly social nature, the use of cross-platform technology infrastructure during the development process, the utilization of viral channels, and offering highly effective social features. Relevant to this generic business strategy, there is also game longevity and the cross-promotion of new games to the audience, which offers higher value to gaming customers. The second business level generic strategy used by the company is that of differentiation, where the company has maintained the leadership position in the offering of games with distinctive qualities, which are customer-driven (Kozami). Towards putting this strategy into action, the company maintains a massive layer network, which informs product development and product purchases. The strategy is also informed by the fact that the company spreads the news about the social features of their products through viral channels, which ensure a wide scope of coverage. Additionally, the wide-reaching time-based campaigns help the company to develop products that are reflective of the needs of their customers, which also improves the experience of the customer. Functional level strategies are the approaches used by the functional centers of a company, towards the realization of business and corporate unit objectives and strategies, through the maximization of productivity and the utilization of resources (Kozami). These strategies support generic strategies by streamlining the resources of a company and its productive capacity towards the generic strategies. For example, towards increasing differentiation, the resources and the productive capacity of the company is channeled towards research into new game designs and incorporating the changing needs of customers (Wilhelm). The business-level growth strategies of the company revolve around the exploitation of the differences of the target customers from the industry-wide balance (Kozami). The company realizes this through isolating a specific buyer classification, isolating their segment, and concentrating on the group to find its niche. In the real world case of King Digital entertainment, it has included diversifying into the mobile game portfolio and broadening the game portfolio through capitalizing on the mobile channel, which yielded 75 percent of the company’s revenues (Wilhelm). The mission statement of the company revolves around the provision of highly engaging content to the different customer groups, in a way that matches their mobile needs at any time, place and on different devices. This mission statement is encapsulated in the growth strategy of the company, which revolves around increasing app-usage during different times and customer groups (Wilhelm). The strategic plan of King Digital entertainment revolves around capitalizing on successful brands to foster the growth of newer ones, which increases the uptake of the company’s products within the market (Chapman). Capacity to change strategy; for example, the capitalization on the three leading titles: Candy crush saga, farm heroes saga, and Pet rescue saga to grow other game brands. Focus on research and development, incorporating discrete campaigns. The popularity of their games, particularly Candy crush saga. Strategic game release dates, to avoid the slowdowns of holidays among other events (Wilhelm). Chapman, Llizette. IPO-Minded Gaming Co. Kabam Buys Phoenix Age; Largest Buy Yet. Business Strategy – The Wall Street Journal. 10 Mar. 2014. Web. 17 Mar. 2014. Kozami, Azhar. 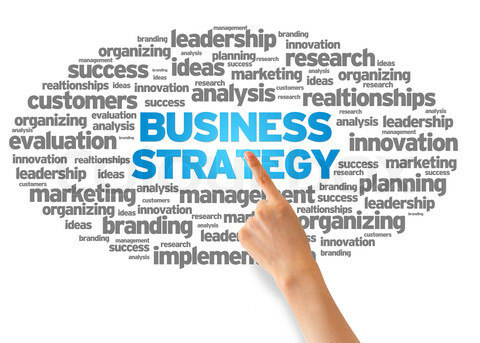 Business Policy and Business Strategy Management. Second Edition. New Dellhi: Tata Mc-Graw-hill Publishing Company, 2006. Wilhelm, Alex. Inside The IPO of Candy Crush Maker King Digital. Business Strategy Techcrunch, 13 Mar. 2014. Web. 17 Mar. 2014. NBC News. Candy Crush Game Maker Aims to Hit $7.6 Billion IPO Sweet Spot. 2014. Web. Business Strategy Snapshot. 18 Mar. 2014. 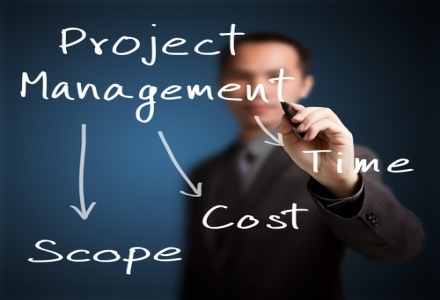 Poor project performance has led to industry calling for Standardized Project Management tools, yet it is the organizations themselves who have chosen to overlook or ignore the tools while implementing organization strategy that exists for their assistance. This paper investigates the implications change management practices have on individuals as a result of strategy change, whilst challenging the poor Project Management knowledge and understanding of individuals within project based organizations. It also identifies the currently poor application of Project Management theory including the alarming levels of academic qualifications many practicing Project Managers currently hold. The purpose of the dissertation was to explore this call for standardization by conducting a review of the knowledge, understanding and opinions of individuals regarding: change management implications of organization strategy implementation; and organizations? application of Project Management theory. However, while conducting the review, offering discussion points or arguments, it is important to recognize when talking about Project Management Standardization, it is not an exact science and there are several fundamental floors such as the theory is relatively abstract and many parameters are difficult to be measured as they are usually based upon the opinion of industry personnel with predetermined beliefs. The aim of the dissertation was to identify and understand evolving management theory and how it aligns with organization strategy as it was believed that with such a large amount of capital being spent on projects, organizations did not place a high enough level of priority on Project Management processes or academic qualifications. Whether this is a result of ignorance, or just a pure lack of understanding of the implications on the behalf of executive level management, was the basis for discussion throughout the dissertation. Finally projects are aimed solely at either increasing profit in line with organizational mission requirements or increasing efficiency through productivity. So the dissertation is written with the intention of raising awareness to improve project performance and not just to highlight organizational short comings. The dissertation aim is to investigate how evolving Project Management theory, organizational strategy and change management implementation and Project Management academic levels influence individual’s perceptions and actions within project based organizations. If you enjoyed reading this post on standardization of project management, I would be very grateful if you could help spread this knowledge by emailing this post to a friend, or sharing it on Twitter or Facebook. Thank you. The purpose of this report is to analyse the case study on D2 which is an auto-components manufacturer undergoing major structural changes to minimize costs and implement innovation and technology. While managing the change, the organisation had to face different kinds of issues. Thus, the report would be identifying the issues and proposing relevant solutions and their implementation to manage change effectively, by using the 5D-Framework which comprises of definition, discovery, dream, design and destiny. When a company undergoes change, there are a series of opportunities and challenges that it has to face. Change is not a onetime occurrence but rather could take years to be implemented. When an organisation is undergoing strategic change, it needs to re-formulate its mission and strategies and thereafter align all its business operations with the overall strategy (Cummings and Vorley, 2009). While managing strategic change, implementation is more challenging than just designing the change. Therefore, one of the primary issues witnessed in the D2 case was that the management would have difficulty in implementing the change due to improper communication channel used for communicating the strategy to the rest of the employees. Apart from this, having a balanced strategic change is also a significant challenge since in order to achieve the balance, the organisation needs to assure that its internal management and resources are aligned with each other and with the external opportunities (Bordum, 2010). Apart from this, environmental pressures are another reason why organisations undergo change. In order to be aligned with the environment, there is a certain organisational structure and a strategic positioning required. One of the key issues in the case was that there has been an outpaced growth of technology over the years and in order to meet that pace it needed to undergo significant innovation and get rid of the obsolete technology. This required greater strategic flexibility which then bore a cost to the organisation since the employees resisted the change and job insecurity arose (Skordoulis, 2013). Moreover, owing to the environmental pressures, it was significantly cutting costs and thus, had to face a trade-off between lowering costs and smooth flow of work. The smooth flow of work would be disrupted since to lower costs, it would have to shut down some of its manufacturing facilities that are not producing enough and would have to redeploy staff to other geographic regions which would require a lot of planning and control. According to Alessa and Kliskey (2012), responses to environmental change management is required which can be done through change agents. These agents can be of three types: the initiators, the supporters and the opportunists. These environmental change agents would assure that the company’s strategy is in correspondence with the changes in the external environment. In the case of D2, the changes in technology were an environmental pressure which required a change agent to manage it effectively and efficiently. Change management can be of many types, varying from a change in structure to a change in culture, leadership style, operations, systems and strategy. At times one change may lead to another change and while doing so, organisations encounter a number of issues. Another key issue evident in the case was the autocratic leadership style and a centralized management as a result. In identifying the change management areas, the management itself first made decisions and formulated the strategy, and then later informed the employees. As the case stated that the decision was yet to be announced and the workers in UK might be shock to hear it since the firm had made heavy investments in the manufacturing plants. Moreover, while redeploying the employees from one geographic region to another, cultural issues might also be faced which would require heavy investments in training. Thus, a greater resistance might be expected from the employees since they were not part of the decision making process and the organisation’s interests might then be in conflict with the interest of the employees (Banutu and Shandra, 2007). Lastly, and most importantly, since the company’s operations are dispersed geographically and one of its core competencies is the pace and quality of its product development, in change management , the company might lose out its current strategic position or the core competency it has, thus, assuring that the pace and quality product development remains the same while re-structuring its manufacturing operations, would be very challenging for the company. Furthermore, change management is not following a planned approach. This might cause D2 to lose out its competitive position in the market which would then be difficult to re-obtain since by focusing on cost reduction rather than value addition, maintaining the sustainability of operations is less likely to happen. The underlying problem chosen for in-depth discussion is the employee resistance to change and the leadership issues in bringing about the change. As stated in the case, D2 required an urgent need for change management therefore it cannot go slow in bringing about the change and would require major transformations in its structure and human resource. While deciding which operations to shut down and which ones to expand, it has been taking into account the external environment and the returns it would get out of it. However, in doing so, it has neglected the reaction that might be expected from the employees, and which could majorly impact and hinder any change management process that happens in the organisation. Resistance to change usually occurs when employee needs are not addressed; their goals and organisational goals are not aligned; there is communication gap between the different hierarchical levels as well as in horizontal communication; when there is downsizing and mistrust is created among employees; when there are major cultural issues to be faced as a result of change management ; and when employee participation in decision making is lacking (Bovey and Hede, 2001). Furthermore, when the leader fails to apply a transformational leadership style where he articulates the vision and re-defines the strategy, the resistance increases further as employees are unclear about the goals and objectives they need to achieve as individuals as well as collectively (Eisenbach et al., 1999). The management needs to keep a balance between the organisational needs and the human needs since ultimately it is the human resource that needs to implement the change (Griffin and Moorhead, 2011). The key issue in the case of D2 was that a feeling of mistrust and insecurity was occurring not only in the U.K. region where it plans to close its facilities but also among the employees working in other subsidiaries located in Spain since the change management process is not communicated effectively and the decision making authority is vested in the hands of a few senior managers indicating that bureaucratic leadership style is more evident in the organisation which means that the increased level of formality between the management and the employees and the lack of communication would result in a decrease in employee morale, and hence, a decline in performance. In order to address the issues, the leadership styles need to be changed. According to Bamford and Forrester (2003), using a middle-out approach would be of significant advantage in addressing the issue. This would involve giving the middle management the authority to lead the change under the supervision of the top management. In doing so, employee needs would be addressed in a better form since the line managers are more closely linked with the operational level staff and thus would be able to provide adequate feedback to the top management of how to create a link between the overall strategy and the needs addressed. Greater teamwork and participation of the workers would also be required to increase their motivational level and making the flow of communication more efficient. Leadership issues are also one of the reasons why organisations fail in managing the change. Uncertainty often accompanies change and as a leader, one needs to minimize the uncertainty levels and create an environment of greater employee commitment and trust. According to Ahn et al. (2004), globalization and change of technology at an accelerating pace requires that effectiveness in leadership has become immensely important, which is demonstrated through the leader’s adaptability to different management styles that involve greater coordination and engagement among all members of the organisation. According to Ashman (2012), ‘redundancies have become an unwelcome necessity across all sectors of the economy’, and while strategy and procedure in change management are important, the third element, psychology, is not given much attention which focuses on how employee emotions need to be dealt with to prevent any resistance to change management. Thus, this requires that to avoid such issues the message is communicated accurately while the sensitivity of such messages is taken into account adequately (Ashman, 2012). One of the ways in managing the issues is to adopt a planned change management approach. The 3 step model of Lewin is applicable here which suggests that the organisation needs to plan change management in three stages: unfreezing, moving, and re-freezing (Burnes, 2013). In the case of D2, a sense of urgency was created and the change was seen more as an emergent one rather than a planned one. However, to make the change more sustainable, carrying out the planned approach would decrease employee resistance, since the unfreezing stage would first help in abandoning the old ways of doing work and preparing the employees for change. For instance, D2 could have addressed the issue of mistrust among its employees in other regions as well as in U.K. by defining the need for change and how it would benefit the organisation as a whole. It should then also point out the alternative employment opportunities available and how these would be a better platform for their growth. The moving stage then would involve applying the change process such as re-structuring, changing leadership styles, re-articulating the vision or changing the strategic position. This is when D2 should start shutting down its facilities and redeploying the staff where expansion is happening. The moving stage would then be followed by the re-freezing stage where the new practices would be adopted in a more permanent basis by providing training and aligning the new behaviors with the organisational strategy and culture (Bamford and Forrester, 2003). Another potential solution of managing organisational change would be to conduct training programs and adopt situational leadership style. The situational leadership theory states that there is no one best style of management and the leader would have to either adopt a relationship-oriented style or a task-oriented style depending on the situation being faced (Griffin and Moorhead, 2011). Similarly, motivational levels of employees would also have to be taken into account and the purpose of the chosen leadership style would be to boost employee morale and assure that they have a positive attitude towards the change. Also team building should be the ultimate focus of the organisation. This should involve self-managing teams, cross-regional/cross-cultural teams and cross-functional teams (Sisaye, 2005). The purpose of having such teams would mean greater diversity and flexibility among employees as well as greater coordination between different divisions and manufacturing facilities. By having cross-cultural teams, the employees would be more familiar with the cultural differences between Spain, France and U.K., thus, any issues arising as a result of change in culture could be better handled through cross-functional teams. The team performance model suggests that in order to create a team there needs to be orientation, trust building, goal clarification and commitment; and in order to sustain that team there needs to be implementation, high performance and renewal (Cooperrider and Dan Whitney, 2001).Therefore, the employees and the management should get involved in formulating the teams before the change management process and since this change is more about implementing new technology while cutting down the costs, the teams may focus on how the technology can be implemented. This would also be accompanied with extensive training to avoid any ambiguity among the employees. The firm’s strategy of achieving cost leadership while maintaining the pace and quality of product development requires that it should, it focuses on value addition. This would mean cutting down costs by minimizing any wastage of resources and streamlining processes. At the same time, it would also be adding value through the innovative tools and technology used. This strategy would have to be defined by the leader after taking employee opinion and feedback using the bottom-up approach and would then have to be implemented across the organisation. In order to implement the proposed solutions, careful planning and formulation would be required. The use the planned change model can be implemented by having a leader who first identifies the potential areas that require change in terms of employee attitude and behavior Also, while addressing the need for change, the leaders should first conduct a field force analysis to identify the factors that are for and against the change (Schwering, 2003). The leader could then use the forces that can help in driving change as an advantage. This would include the consumer demand for more innovative auto components, availability of technology, upgraded technology in the other two manufacturing facilities and the identification of a new strategy. The drivers against change management would include employee resistance due to increased mistrust, decrease in morale in case of deployment and fear of exploring the new methods of working. Thus, once the forces are identified, in order to overcome any barriers, training programs should be conducted throughout the change process, that is, the unfreezing, moving and re-freezing stage. These training programs should involve two way communications which would mean delivering the new company strategy to the employees and also taking their feedback on what concerns they have and how they think it can be improved further (Hoag et al., 2002). Apart from this, in helping leaders being aware of different leadership styles, leadership workshops should also be conducted. These might include assessment centres and activities where the management can be given different scenarios and asked to adopt an appropriate leadership style (Cummings and Vorley, 2009). The workshops would then be concluded with feedback and suggestions. Also while change management is being implemented, the performance should be monitored and measured more frequently in order to understand employee behavior and their progress. In case of teamwork as well, the leader would have to assure that there is no group think that could result in in-group conflicts, and the goals of the team are aligned with that of the organisation (Raza and Standing, 2011). The management would have to be more decentralized in its approach by practicing open door policies and being on the floor to address employee needs. The alternative employment opportunities available for the employees need to be clearly identified before the change process in order to conduct the implementation smoothly. Similarly, while communicating the new strategy to the employees, the opportunities available to them should be delivered first, which could act as a buffer to the disappointment they might have on hearing the shutting down of operations. In order to cut down costs while maintaining the core competency, the organisation should align its operations with the new strategy. This would mean implementing change management simultaneously. The firm should first start expanding its operations in France by investing in new technology and setting up the production design, it should then plan out staffing requirements and communicate the strategy to the employees in the U.K. as well as Spain regarding how the expansion could help organisation grow and how the operations in U.K. might decline the overall progress of the organisation. Online video conferencing or virtual teams can also be formed where there could be cross-regional communication to assure that all its units are at the same pace and the goals of the organisation are communicated clearly across. Also by using internet as a platform for communication, organisation would be further saving on its time and costs in coordinating the teams. In implementing the proposed solutions, the possible limitations that might be faced include the heavy investment costs associated with training. This would conflict with the overall strategy of the firm of cutting down the costs. Therefore, in order to minimize the training costs, the management can focus on more informal ways of training such as in-house training where the costs of additional trainers and location can be saved. Similarly, the organisation could identify change agents who are trained and competent enough before the change takes place and then these agents could help other employees in carrying out the change (Griffin and Moorhead, 2011). Furthermore, in identifying leadership styles, one of the factors that have been ignored is the number of cultural issues. For example, the effectiveness of relationship-oriented style is not only dependent upon the organisational situation but also on the culture where it is operational. There might be differences in terms of collectivism and individualism, and power distances (Kirsch et al., 2012). To overcome this limitation, the leader can identify the similarities in culture that can help employees adjust in the other two regions and make them aware of the differences to avoid any cultural shock. While implementing the solutions, another possible limitation is the effectiveness of the feedback. Employees might be reluctant to speak up any negative feelings regarding the process or the feedback might be unstructured and more intuitive rather than formulized. To overcome this limitation, the management can take anonymous written feedbacks and then re-evaluate performance after the feedback is taken into account, in order to measure its effectiveness. Thus, by strategizing the change process and aligning the structure, the culture and the processes with the overall strategy, implementing the change process would be more effective, reducing any potential resistance of the employees through greater involvement and empowerment in decision-making. Also by applying the three-step planned approach to change, the employee attitudes would be more positive towards change, removing any ambiguities that might exist regarding the strategic change. Ahn, M.J., Adamson, J.S.A. and Dornbusch, D., 2004. From Leaders to Leadership: Change Management. Journal of Leadership and Organisational Studies, 10(4), pp. 112-123. Alessa, L. and Kliskey, A., 2012. The Role of Agent Types in Detecting and Responding to Environmental Change Management. Human organisation, 71(1), pp. 1-10. Ashman, I., 2012. A New Role Emerges in Downsizing: Special Envoy. People Management and Change Management, pp. 32-35. Bamford, D.R. and Forrester, P.L., 2003. Managing planned and emergent change within an operations management environment. International Journal of Operations and Production Change Management, 23(5), pp. 546-546. Banutu, M.B. and Shandra, M.T.B., 2007. Leadership and Organisational Change Management in a Competitive Environment. Business Renaissance Quarterly, 2(2), pp. 69-90. Bordum, A., 2010. The strategic balance in a change management perspective. Society and Business Review, 5(3), pp. 245-258. Bovey, W.H. and Hede, A., 2001. Resistance to Organisational Change Management: The role of cognitive and affective processes. Leadership and Organisation Development Journal, 22(7), pp. 372-382. Burnes, B., 2013. Kurt Lewin and the Planned Approach to Change: A Re-appraisal. Journal of Change Management Studies, 53(8), pp. 111-134. Cooperrider, D.L. and dan Whitney D., 2001. Change Management A positive revolution in change: appreciative inquiry, on Robert T. Golembiewski (ed. ), The handbook of organisational behavior.2nd ed., New York: Marcel Decker. Cummings, T.G. and Vorley, C.G., 2009. Organisation Development and Change Management. 9th ed. Mason: Cengage Learning. Eisenbach, R. et al., 1999. Transformational leadership in the context of organisational change.Journal of Organisational Change Management, 12(2), pp. 80-88. Griffin, R.W. and Moorhead, G., 2011. Organisational Behavior: Managing People, Change Management and Organisations. Mason: Cengage Learning. Hoag, B.G., Ritschard, H.V. and Cooper, C.L., 2002. Obstacles to effective organisational change: The underlying reasons. Leadership and Organisation Development Journal, 23(1), pp. 6-15. Kirsch, C., Chelliah, J. and Parry, W., 2012. The impact of cross-cultural dynamics on change management. Cross Cultural Management, 19(2), pp. 166-195. Raza, S.A. and Standing, C., 2011. A Systemic Model for Managing and Evaluating Conflicts in Organisational Management Change. Systemic Practice and Action Research, 24(3), pp. 187-210. Schwering, R.E., 2003. Focusing leadership through force field analysis: new variations on a venerable planning tool. Leadership and Organisation Development Journal, 24(7), pp. 361-370. Sisaye, S., 2005. Management control systems and organisational development: New directions for managing work teams – Change Management. Leadership and Organisation Development Journal, 26(1), pp. 51-61. Skordoulis, R.T., 2013. Strategic flexibility and change: an aid to strategic thinking or another managerial abstraction? Strategic Change Management, 13(5), pp. 253-258. Over the past few decades, the global scenario has changed considerably with increased interdependence amongst nations and economies. This intertwining amongst nations and sharing of ideas and technology has been termed as “Globalization”. Globalization has been a buzzword of late, with heated discussions about its pros and cons. Some consider it to be a blessing for mankind while others take it as a curse. For some it has brought about material prosperity while others have become unemployed due to it. This paper tries to analyse the effect of Increased International Trade and Globalisation on the US economy. 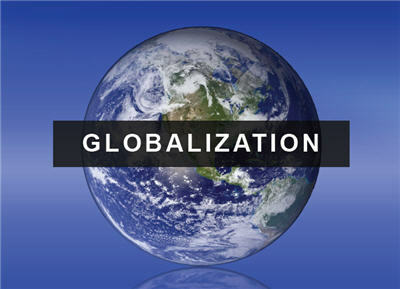 The first section discusses the pros and cons of Globalization while the second section discusses how globalization has lead to increased foreign trade. Thereafter, it discusses the effect of globalisation and increased foreign trade on the American economy. Trade is believed to have taken place throughout much of recorded human history, whether as barter or in exchange of currency. Till the 1800’s, trade was limited due to difficulties in transportation, communication and restrictive trade policies. However, in the mid 19th century, with advent of free trade and nation advantage concepts, trade started to pick up (Daniels & Sullivan, International Business and Operation). Although international trade has been present throughout much of history, for example Silk Route, its economic, social, and political importance have increased in recent centuries, mainly because of Industrialization, advanced transportation, globalization, multinational corporations, and outsourcing. Worldwide, countries are doing away with trade restrictions and lowering trade tariffs, thereby supporting free trade and making the world a global village (Daniels & Sullivan, International Business and Operation). The global economy is no longer an individual event and USA no longer plays the dominating role. This is apparent from the fact that ten years ago the World Trade Organization had only 80 members whereas now it has 153 members (WTO Data, 2010). Also countries like China and India are getting more bargaining power day by day. Globalization is the deepening relationship and broadening interdependence amongst the different countries of the world. The World Bank defines globalization as “the growing integration of economies and societies around the world.” This integration of regional economies into a global village has lead to increased international trade, investment, capital flows and technological advancements. Technological advancements such as the internet and cell phones have literally reduced the world to a Global village. Globalization has both its critics and it supporters. Some interpret it as a way of countries losing their cultural identities and becoming “Americanized.” Others see it as a way to reduce costs and to increase profits and efficiency. The debate over globalization is perceptible in demonstrations against the WTO in Seattle in the fall of 1999, against the Summit meetings in Quebec and Genoa and against several annual meetings of the IMF and World Bank. While on the other hand, supporters of globalisation look forward to a global village, linked together by the Internet, and enjoy the ever-increasing material well being (Daniels & Sullivan, International Business and Operation). The United States is seen by much of the world as the strongest supporter of globalization – in fact, as pushing it on everyone else. Over the years, globalization has resulted in increased foreign trade and capital flows, thereby contributing immensely to the domestic economy. In the 1990s, globalization and free trade, resulted in integration of China and the former Soviet bloc into the trading system thereby lowering inflation and opening new markets. However, as the emerging markets got stronger, the prices of commodities started rising immensely and competition from foreign workers lowered the average US wage rates. Jeffrey Garten, professor of international trade and finance at the Yale School of Management, points out that in 2000, the world’s wealthiest countries accounted for about 70 percent of the global economy, compared with 30 percent for developing economies. These rates are slowly but surely reversing. Thus, USA has seen both the positives and the negatives of globalization. International competition goes hand-in-hand with globalization. A company that has been very successful in the domestic market may suddenly find itself facing competition from a yet unheard of company from the other end of the globe. Survival in this new business environment calls for improved productivity, reduction in costs, up gradation in technology and advancements in supply chain management (O’Reilly, E., & Alfred, Diane., 1998). For example, In the 1980s American automobile manufacturers began losing market share to Japanese competitors who offered American consumers higher quality cars at lower prices (Brewer, G., Managerial Accounting). However, from the consumer’s point of view, increased competition promises greater quality, reduced prices and a greater variety of goods and services. China’s entrance into the global marketplace has proved that globalisation leads to competition and changes the business environment. For example, from 2000 to 2003, China’s wooden bedroom furniture exports to the United States increased by more than 233% to a total of $1.2 billion. During this same time, the number of workers employed by U.S. furniture manufacturers dropped by about a third, or a total of 35,000 workers (Fishman, T., 2005). In a 2002 speech, the Economic counsellor to the US Embassy, Mr Lee Brudvig, said, “We have not resisted the free flow of money, goods, services, and ideas. Rather, we have subjected our companies to market competition and limited the role of government on the whole to that of facilitator, regulator and, when necessary, safety net provider. 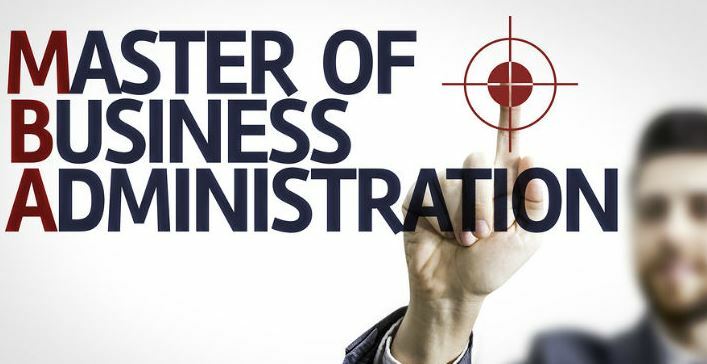 As a result, we have seen a massive reorganization of business structures. Whereas in 1960 manufacturing accounted for 27 percent of GNP, by 2001 it had dropped to below 15 percent.” The changes brought about by technology and productivity is causing both markets as well as organisations to undergo restructuring. An important trend in labour markets in the advanced economies has been a steady shift in demand away from the less skilled toward the more skilled (Slaughter, M., & Swagel, Philip., 1997). Studies have shown, for the advanced economies as a whole, that trade with developing countries has led to about a 20 percent decline in the demand for labour in manufacturing, with the decline concentrated among unskilled workers (Swagel, Philip., 1997). This trend has produced dramatic rises in wage and income inequality between the more and the less skilled. In the United states, wages of less-skilled workers have fallen steeply since the late 1970s relative to those of the more skilled (Slaughter, M., & Swagel, Philip., 1997). According to a study conducted in 2007, the impact of trade flows in 2006 increased the inequality of earnings by roughly 7% (Bivens,J., 2007). The study goes on to prove that although “liberalized trade” is a win-win proposition for nations, it reduces the income of most workers. Workers employed in industries directly in competition with low-cost imports from abroad can expect to see immediate job dislocation and/or downward wage pressures. The rise of labour abundant nations, like China and India, has increased the global labour pool. The price of labour-intensive commodities falls as a result of this increase in the global labour pool, and these falling prices harms the labour in professional-abundant nations like the United States. DVD Players, clothing and call centre operations, all provide examples of reduction in prices due to expansion in the global labour pool (Slaughter, M., & Swagel, Philip., 1997). Outsourcing and offshoring, has further increased unemployment and decreased national earnings. 22-29% of the U.S. workforce has been rated as potentially offshorable over the next one or two decades (Blinder, 2006). The implied loss due to offshoring would push these wages well below the 1979 levels, completely undoing the entire increase in these wages over the past three decades. The trade adjustment assistance (TAA) program has been formed as a way to compensate globalization’s victims in the United States. In 2006 TAA allocated $655 million in income supports for workers harmed by globalization, and, another $200 million for training. As quoted by Bradford, Grieco, and Hufbauer in their study, “While the gains from increased trade generate a permanent rise in income, the associated losses are temporary. Nevertheless, they are very real, and are concentrated on a small fraction of Americans”. somewhat chicken-and-egg causal relationship, by the abandonment of the Bretton Woods system of adjustable exchange rate pegs and the shift to floating exchange rates among the major currencies or regional currency blocs (Eatwell 1996). When currency fluctuations are considered, it is the exchange rate between the US dollar and the euro that gets the most attention. This not only reflects the size of the respective economies using these two currencies, but also the fact that the US dollar is the most widely traded currency today. That’s because it effectively serves multiple roles: as an investment currency; as a reserve currency for many central banks. According to an IFSL research conducted in April 2007, the US dollar was involved in 86% of foreign exchange transactions, followed by the euro (37%), which proves its importance (Safar, L., 2008). The report further states that foreign currency trading increased by 70% in 2008 compared to 2004. This increase in currency trading makes it imperative for companies to learn to deal with exchange fluctuations and how to benefit from all situations. The US dollar has fallen since January 2004 against the euro as well as against most major European and Asian currencies. This has caused many companies to introduce a “fluctuation clause” in their contracts to protect themselves from losses due to exchange rate fluctuations and has also lead to the development of many financial instruments to help companies hedge their currency risks. However, times such as these when the dollar becomes weaker often works well for US producers with a larger proportion of their costs being in dollars but selling worldwide. International revenues not only translate to higher US-denominated revenues, but they also contribute to higher margins which can be achieved globally (Safar, L., 2008). For example, Q1 2008 for instance marked a milestone for Google, whose international revenues exceeded US revenues for the first time. Revenues from outside of the United States represented 51% of total revenues in the period, compared to 47% in the first quarter of 2007 and 48% in the fourth quarter of 2007. In Q2 2008, this had increased further to 52%. According to Google, “Had foreign exchange rates remained constant from the second quarter of 2007 through the second quarter of 2008, our revenues in the second quarter of 2008 would have been $249 million lower.” (Safar, L., 2008). Nothing can be predicted with 100% accuracy when it comes to exchange rates, and the only thing that can be safely said is that there will be no “business as usual” when it comes to currencies. According to CIA Global Trends 2015, 2000,” The rising tide of the global economy will create many economic winners, but it will not lift all boat. It will spawn conflicts at home and abroad, ensuring an even wider gap between regional winners and losers than exists today. Regions, countries and groups left behind will face deepening economic stagnation, political instability and cultural alienation. They will foster political, ethnic, ideological, and religious extremism, along with the violence that often accompanies it.” One of the most important and necessary features of the current process of globalization is the proliferation of international organizations. Scholars point to the emergence of expanding web of international treaties and institutions, which regulate and adjudicate on matters of interstate behaviour. The number of international organizations rose from 61 in 1940 to 260 by 1996 (Barnett 2002:110). Since 1995, when the World Trade Organization (WTO) was formed, transnational corporations have increasingly influenced political leaders to push international trade laws in the same direction of liberalization and deregulation. In addition, existing international organizations like the IMF, the World Bank and the GATT/WTO have transformed their roles substantively, gaining further powers and responsibilities (Camillery and Falk 1992:94-7; O’Brien et al. 2000). The United States has enjoyed a position of power among the world powers, in part because of its strong and wealthy economy. Due to this reason, the United States enjoys considerable bargaining powers in the WTO and World Bank. With the influence of globalization and with the help of The United States’ own economy, the People’s Republic of China has experienced some tremendous growth within the past decade, and now enjoys as much bargaining power, if not more, as USA. If China continues to grow at the rate projected by the trends, then it is very likely that in the next twenty years, there will be a major reallocation of power among the world leaders. China will have enough wealth, industry, and technology to rival the United States for the position of leading world power (Fishman, T., 2005). At the end of the 20th century, a new phenomenon appeared—the simultaneous globalization of crime, terror, and corruption, an “unholy trinity” that manifests itself all over the world. This unholy trinity is more complex, however, than terrorists simply turning to crime to support their activities or merely the increased flow of illicit goods internationally. Rather, it is a distinct phenomenon in which globalized crime networks work with terrorists and both are able to carry out their activities successfully, aided by endemic corruption. Crime groups and terrorists have exploited the enormous decline in regulations, the lessened border controls, and the resultant greater freedom, to expand their activities across borders and to new regions of the world. The United States has been one of the worst sufferers of this new “global” terrorism. Since September 11, 2001, numerous resources have been shifted in the United States and elsewhere from addressing trans-national crime to fighting terrorism. It has increasingly become clear, that for a nation to advance, it has to keep its crime and terror activities in check. The growth of cross-cultural contacts has helped the United States participate in a new World Culture. It has helped Hollywood reach remote corners of the world while at the same time Bollywood has reached out to the Americans. Globalization has also lead to greater international travel and tourism thus greatly benefiting the tourism industry. WHO estimates that up to 500,000 people are on planes at any one time. (WHO Data, 2009). In 2008, there were over 922 million international tourist arrivals, with a growth of 1.9% as compared to 2007 (UNTWO Data, 2009). Globalization has also increased the number of illegal immigrants entering USA. The Rockridge Institute argues that globalization and trade agreements affected international migration, as laborers moved to where they could find jobs. The Mexican government failed to make promised investments of billions of dollars in roads, schooling, sanitation, housing, and other infrastructure to accommodate the new maquiladoras (border factories) envisioned under NAFTA. The 1994 economic crisis in Mexico, which occurred the year NAFTA came into effect, resulted in a devaluation of the Mexican peso, decreasing the wages of Mexican workers relative to those in the United States. Unemployment, corruption, low wages and few opportunities cause Mexican laborers to look for greener pastures and migrate illegally to the United States. Globalization leads to increased international trade and reduction in trade barriers, which is beneficial for all the trading nations. Increased globalizartion has increased competition in the global economy, making it tougher for organisations to survive, and leading to greater productivity, efficiency and quality. This has in turn lead to the rise of countries like China and India, which are rich in labour. Due to the rise of labour abundant nations, the US labour market has suffered with fewer jobs being available for unskilled workers and lowering of wages. Further, outsourcing and offshoring have lead to loss of jobs and unemployment. In order to establish a set of trade rules and monitor the trading nations, institutions like WTO, IMF and World Bank have gained in importance. The United States hold a very important place in all these institutes, due to its strong economy and political power. Thus, it has a huge bargaining power when it comes to trade regulations. Overall, globalisation has affected America both positively as well as negatively but it is primarily due to globalisation and increased trade that America has a strong economy today. The author examines the effect of globalisation on wages and predicts what the future is going to be, based on mathematical models. Blinder, Alan. 2006. Off-shoring: The next Industrial Revolution. Foreign Affairs magazine. Boyer, P., Foreign Trade, U.S., The Oxford Companion to United States History.2001.Encyclopedia.com. Development, Office of Development Studies, Discussion Paper Series (September). New York: United Nations Development Programme.